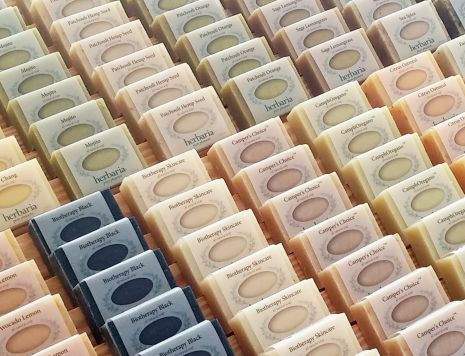 Ha’bars™, pronounced “hay-bars," make great guest soaps, too. Each Ha’bar is individually wrapped in translucent paper. Use the drop-down menu to select each variety and add to your cart. We also offer 6 Ha’Bar Custom Gift Sets in decorated gift boxes. Each Ha'bar counts as half an item towards our buy 6 get 1 free offer. Half Bars weigh approximately 2.25oz each. Kids suds them up in their little hands. The Brits call a half-penny a ha’penny. 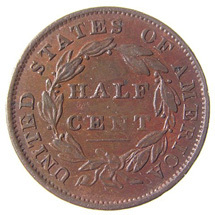 Ha’pennies were minted from 1672–1967. The United States minted half-cent coins from 1793 to 1857. Pick 6 Ha'bar Gift Set. Pick 12 Habar Gift Set.